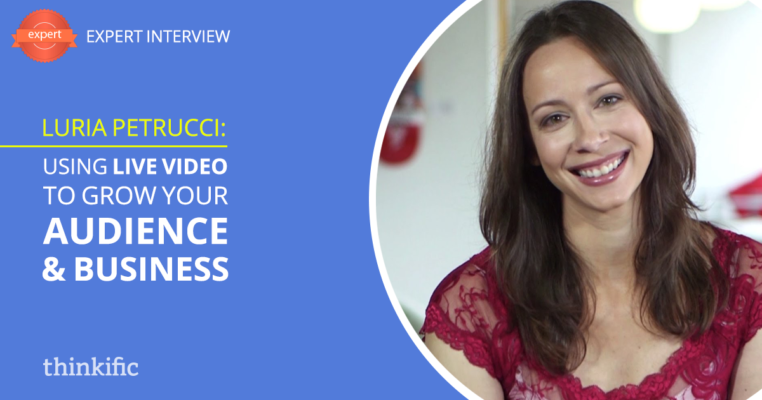 Tyler Basu interviews podcasting and live video streaming expert Luria Petrucci on how to use live videos to build your audience and grow your online business. Luria Petrucci is a pioneer in the podcasting and live streaming world. Since 2005, she’s grown an audience of 2 million social followers with more than 1 billion views and 3500 videos. She has produced and hosted video & live streams for her own communities, Samsung, Panasonic, AT&T, OnStar, DISH Network, Verizon FiOS, Bausch + Lomb, BBC Click. and more.